An Unbiased Magento Expert Can Help You Decide What Platform is Right for Your Company. How to decide between the $15,550 price of Magento Enterprise and the Free, open source Community version of Magento? It’s a tough decision, and not easy to compare, unless you really know both versions of Magento (Community & Enterprise), inside and out. 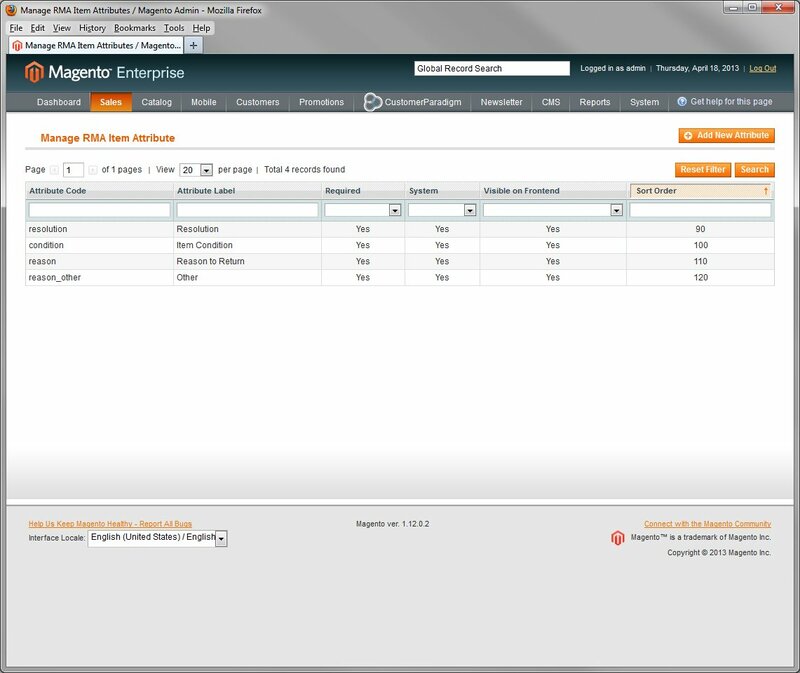 What are you really paying for with Magento Enterprise? Can’t I just get the same functionality with extensions on the free Community version? What’s really right for my business? We’re here to help you make the decision. Customer Paradigm is a Magento Silver Certified Partner, and have built Magento websites for companies big and small. We’ve worked with Warner Music Group, Travelocity, Fresh Produce Clothing, Mail Order Comics, 3M, Richoh, Shell, BP, Xcel Energy, and more. Free is good, right? Very few people want to pay $15,550 if they don’t need to. After all, free, open source software can do almost anything, right? But like most things in life, you do get what you pay for. Roy Rubin was running a Web development company in Los Angeles, California. Their clients needed an affordable way to launch eCommerce sites. His company, Varien, initially turned to OS Commerce, a free, open source eCommerce platform. OS Commerce has been around for more than a decade. It has a lot of features, but it was built by web developers, who often don’t think like store owners or marketers. The system had a lot of basic features, but installing a new design was complex, and modifying the system to add new functionality meant modifying the underlying core files and code. This made security updates, feature enhancements and OS Commerce version updates virtually impossible to update. Essentially, an OS Commerce site that was modified was a custom branch — and once it was built, it was actually easier to start from scratch and build a new site instead of upgrading. Design Files Separate. Instead of hacking apart the core files, there is an area where you can add the design for the site. That way, you can re-skin the site quickly and easily, and even have multiple themes or designs running for different sections of the site (or store views). Extensions / Plugin Module. Varien knew that the off-the-shelf version of Magento would incorporate 90%+ of the features that eCommerce store owners wanted in a system. But in order to add that last 10% of difference between the standard, out-of-the-box site, and custom functionality, the extension module system was developed. You can add a new extension that allows for RDFa microtagging on the site (we built a plugin for this). 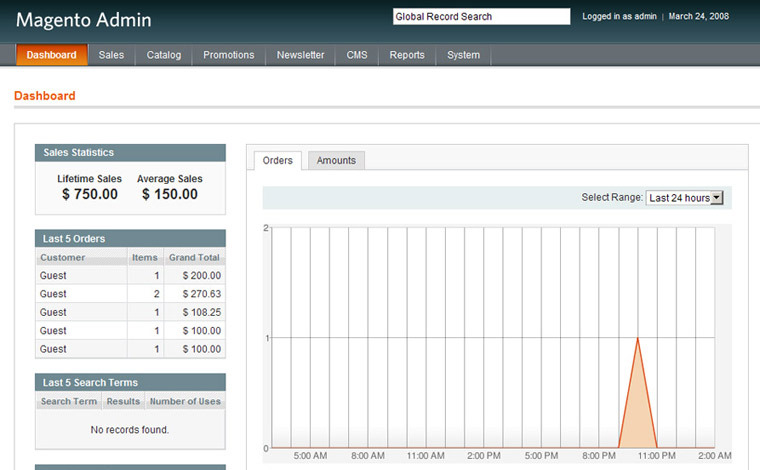 Or add in advanced sales tracking, with trigger-based order alerts (we built this Watchdog system as well). 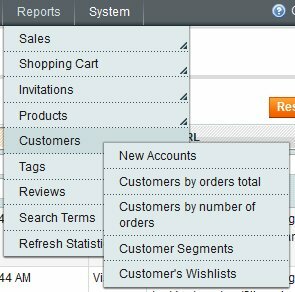 Add Order Ahead Functionality (i.e. your smoothie is ready for you, and you can bypass the line). Add In-Aisle Checkout (like being at the Apple store). Or, a one step checkout, or a fancy image zoom, or mobile template. There are more than 7,500 extensions available right now in the Magento Connect Extension Marketplace, that make it easy to add new functionality to your site. Some are free, some are paid; depending on what you’d like to do. Easy Upgrade Path. As new features were requested, the new and improved version of the Magento system could be rolled out, and for those sites that didn’t modify their core Magento files, upgrades are relatively easy to do. Security Features Built In. OS Commerce lacked a lot of security features, and was vulnerable to SQL injection errors. Due to the object oriented code base of Magento, security was built in from the beginning. Magento grew because of it’s open source nature, and as of February 2013, Magento has a 26% Marketshare of eCommerce sites in the Alexa Top 1 Million. Over 125,000 merchants are using Magento for their eCommerce storefronts, including some of largest brand names in fashion, clothing, sports and electronics. 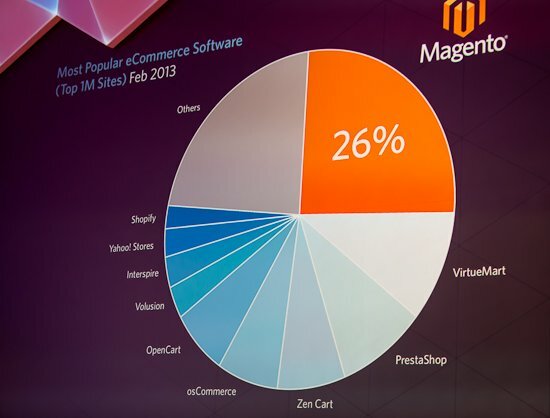 Magento Commerce has 26% of the marketshare in the Alexa Top One Million Websites, as of February 2013. But giving away free, open source software, while altruistic and admirable, isn’t a great way to make money. It’s not an easy way to feed a family or pay employees. 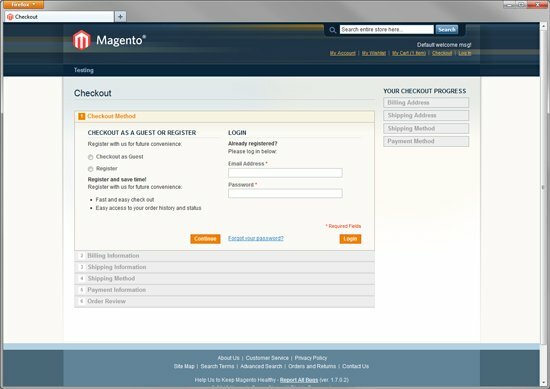 Magento could have gotten into the integration business – helping businesses actually do the build out of their eCommerce sites, in a consulting capacity. However, that’s more difficult to scale, and Magento is more of a software company at it’s core than a professional services company. 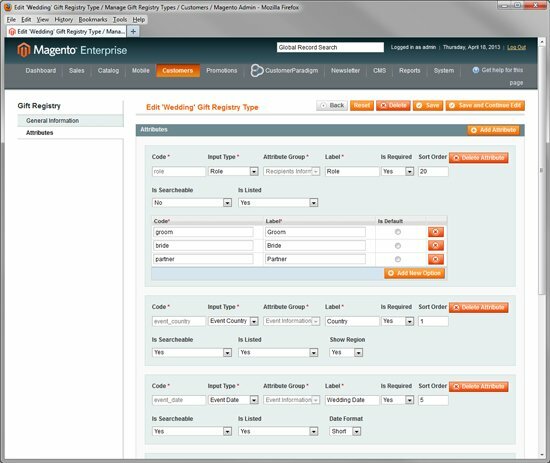 Instead, the folks at Magento (formerly Varien) developed an Enterprise version of the eCommerce system, targeted to the needs of larger, Enterprise-class clients. 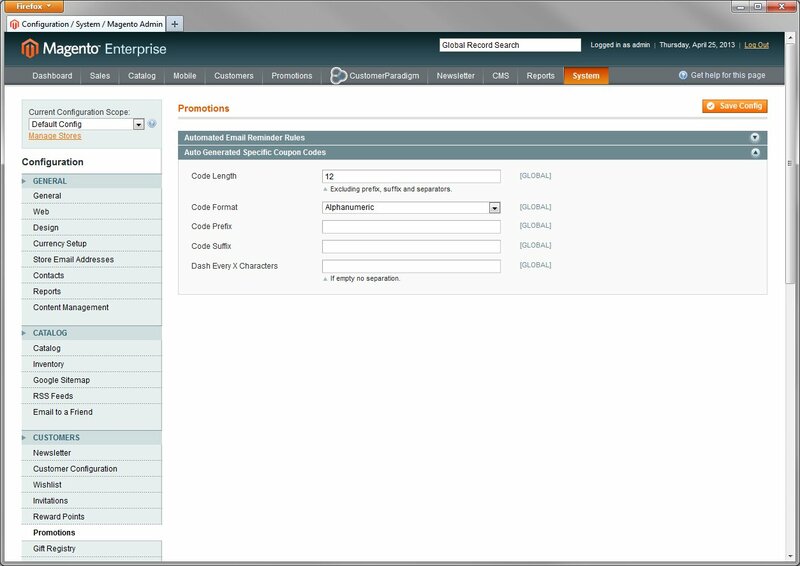 The Enterprise code base adds additional features, reliability and security. From my perspective, that’s good. Magento can focus on what it does best: building a reliable code base for both Magento Community Edition and Magento Enterprise Edition. It’s tough to be both a software company, focused on a product, and also do customized work for clients at the same time. I’ve tried this, and the big clients that pay a lot of money take development resources away from the core code process. eBay acquired Magento in 2011, and has brought the Magento system into their fold. 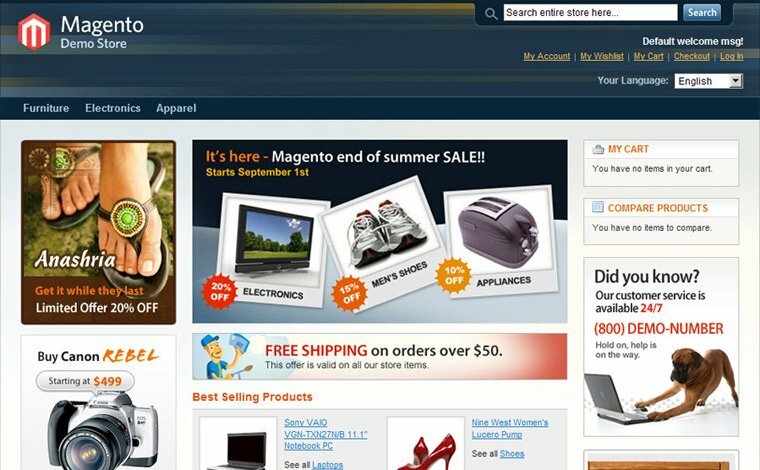 Because eBay also owns PayPal, Magento is tightly integrated with PayPal in ways that most other eCommerce systems are not. Recent PayPal extensions include In Aisle Ordering (like at an Apple store), Order Ahead (order a smoothie online, bypass the line and pick it up), and a Point of Sale system (allows a retail store to use an iPad or iPhone as a cash register). 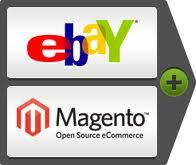 eBay has continued to pour support, money and marketing dollars into the Magento product line. We’re unbiased – because we are happy to work with either the Community or Enterprise version of Magento, depending on the needs of your company. Okay. We’re a little biased. 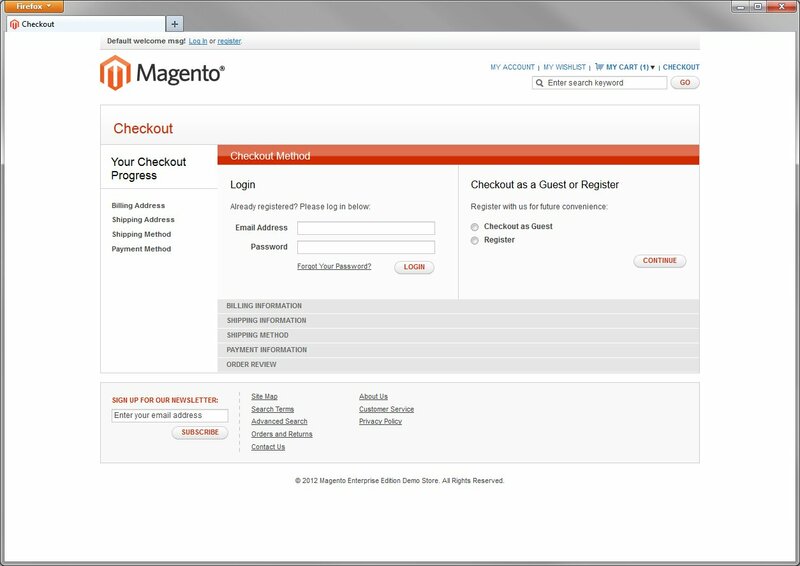 We really like the Magento system instead of other eCommerce systems. 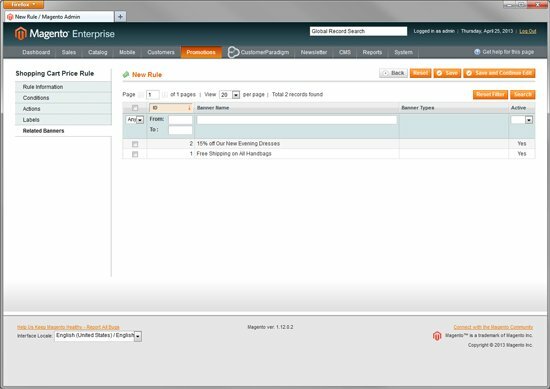 The Big Questions: Magento Enterprise vs. Community. Is Enterprise Worth $15,500? And What Do I Get For It? These are the questions we are asked every day by eCommerce website owners who are trying to decide. Is paying for Magento Enterprise worth it? For some people, Enterprise is a must-have. For others, it might be an expensive, unnecessary purchase. I’ll delve into this more below. What do I really get with Magento Enterprise vs. the Free open-source version of Magento Community? Again, I’ll try to answer this in an unbiased way below. I’m not going to discuss the Magento Go platform, as that is a fairly simple, limited-access eCommerce platform. But… your needs may be different, and you might be on the fence. In that case, I’m happy for you to call us at 303.473.4400 or click here for a Free, no-obligation consultation to help you decide if Magento Enterprise vs. Community is right for you. Why are we doing this for free? We want to work with you, regardless if you are on Community, Enterprise (or perhaps even another platform). Code-level access to the files. If you want to modify the system, you can do so easily. Unlike the Magento Go platform that is hosted and “locked down” (similar to Volusion, Shopify and other hosted solutions), the code runs on your web server. Because of this, nobody has access to your client information, products, pricing, etc. Web Services API, allowing you to connect to other systems easily. Mobile HTML5 Theme is pre-integrated with the out-of-the-box theme. Mobile commerce is exploding – so if your site doesn’t work from an iPhone, iPad, Tablet or other smart phone (i.e. Android), you are losing out on a lot of business. Extensions. 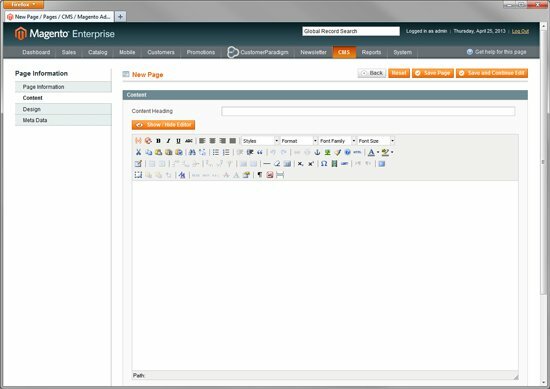 As I mentioned above, one of the key features of Magento Community and Enterprise are the 7,500+ extensions in the Magento Connect Marketplace. API Integrations. Magento allows you to use Application Programming Interfaces (APIs) to interact with different databases, other stores, Google merchant and product feeds, and more. Themes. As I described above, you can install one or more themes (designs) for a Magento Community storefront, all without having to touch the core code files. Mobile Commerce. Magento Community edition, out of the box, allows you to engage with customers on mobile platforms. The underlying code works well for mobile devices, but the ability of the site to engage in mobile commerce will be based quite a bit on the design. For example, you might have a mobile version of the site, or a responsive design that allows the site to automatically “respond” to the width of the browser window. Multiple Stores. Magento Community allows you have multiple stores, with one common back end system. This is a *major* feature of Magento, that most other eCommerce systems do not offer. For example, you might have a retail site, a wholesale site, or three different sites for different brands. You can share customers, products, categories and other information across each store (or not). 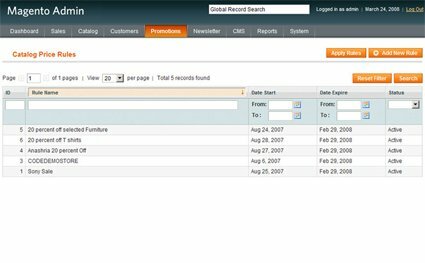 Instead of having to log into the admin area of three or four different systems to process orders, manage inventory and update product information, you have one single admin area that spans across your multiple sites. Multiple Store Views. For each store, you can also have multiple store views. Generally this is used to give the user an option to view the site in multiple languages. In some instances, you can use multiple store views for a mobile site, or have a separate store view just for wholesale customers. Persistent Shopping Cart. The shopping cart system is perhaps the most important feature of the entire eCommerce system, and Magento Community offers what is known as a persistent shopping cart. A persistent cart keeps track of what a potential customer adds to their cart, and saves the contents until they come back. If they are a registered user (i.e. a past customer) and have logged in, the system can be set up to keep their shopping cart contents intact, regardless of what computer, tablet or mobile device they use. 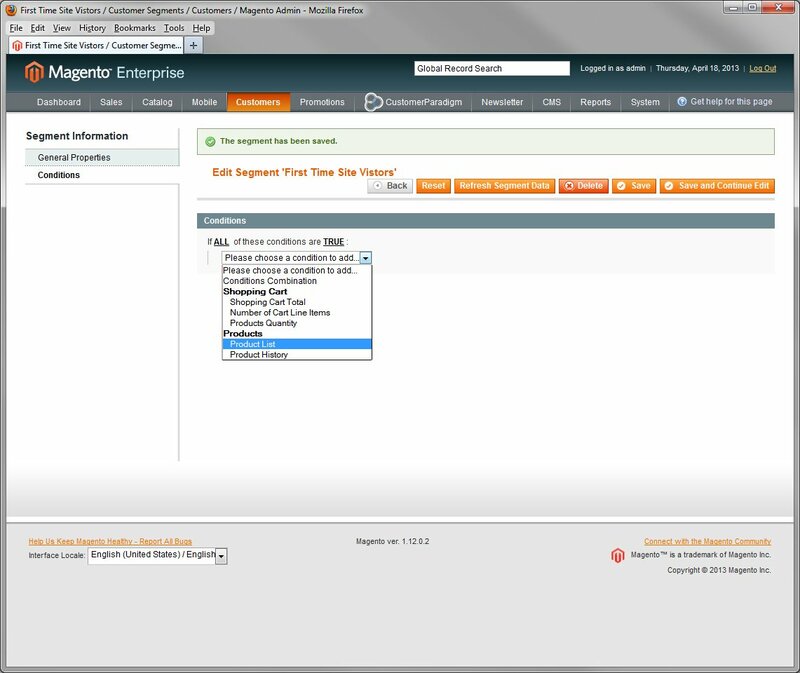 Within Magento, you can set the time to keep the contents of the cart (i.e. 2 weeks, 6 months, 1 year), and if you want to allow the system to “remember” users when they visit again. The persistent shopping cart feature is not available in many other competing platforms — especially in the granular detail Magento allows. It can also help make sure you are compliant with cookie regulations in different markets. Buy Item #1, Get Item #2 for 50% off. Buy Item #1, Get Item #2 for Free. Buy Items #1 and #2, Get Item #3 for Free. Pricing Rules can get extremely complex. You can have pricing rules apply to specific customers (i.e. Wholesale Customers), to anyone logged into the site as a retail customer, or to everyone. For example, Wholesale customers might always receive free shipping. Anyone that is a past customer and logged into the system might see prices that are 5% off on specific products or categories. Or receive free shipping for all orders. 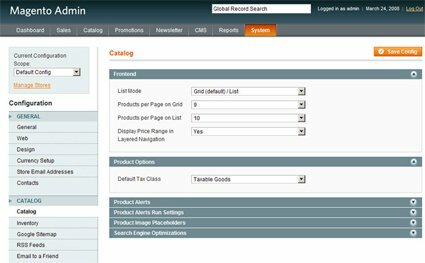 Catalog Price Rules apply to items in the catalog, and show up on the category pages and individual product pages. Shopping Cart Price rules show up when a customer adds something to the cart. You can require that a customer adds in a discount code or promo code (or not require this, and have the discount apply to everyone). This might be where free shipping for orders over $30 might be applied and displayed. Customer Paradigm often spends 5-10 hours of training time with Magento store owners, teaching them the best ways to implement flexible price rules (or just set them up for customers as needed). Layered Navigation.Have you ever been on an eCommerce site and been overwhelmed by the number of options on the left side of a site? Magento Community’s Layered Navigation allows the end user to select filters on a category page, and then “restricts” the results. 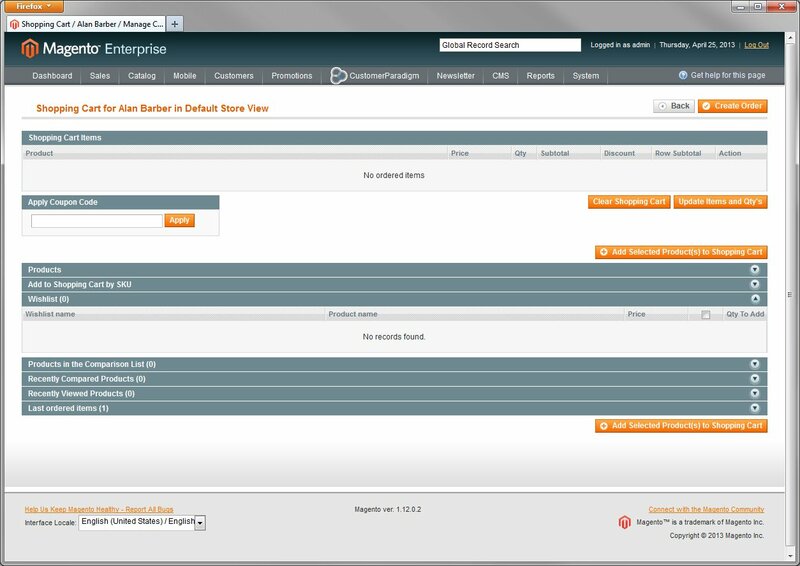 For example, the end user could restrict results by color, size, manufacturer or price. Layered Navigation must be supported by the design theme that you use, but most out-of-the-box Magento Community themes support Layered Navigation on category pages. International Commerce and Multiple Languages. Magento Community allows you to specify the country users are able to make purchases and ship to on the site. You could have a specific site that is just for Canada, for example (and have a store view that uses the .ca top level domain extension). Or you can enable shipping and commerce to nearly any country. Shipping Rules, Payment Configurations and Gateways. Magento Community allows you to set shipping options for international users, using USPS, UPS, FedEx, DHL or custom shipping information. You can set payment configurations (i.e. Authorize.net, PayPal Pro or other supported vendors) through the system. You can also enable PayPal and PayPal Express Checkout as additional payment options, too. You can enable the ability of customers to purchase on credit (and pay by check), or restrict this just to a specific customer group (i.e. Wholesale Customers). Product Name, for people to recognize. Product Price – how much the product costs. Minimum Advertised Price (MAP) – the ability to list the minimum advertised price automatically on the page. Product Cost – so that you can view profitability reports, based on the product price. Tier Price – set the price for different customer groups (i.e. a different price for Wholesale Customers vs. Past Customers vs. New Customers). Special Price – set the price (usually lower) for a specific date range. When the special price date is over, the price goes back to normal. Bonus: You don’t have to stay up until Midnight of the last day of the sale in order to change the prices back! Short Description of the product. This is often used on the category page. SKU (Stock Keeping Unit). The SKU is a product code that can be used by your inventory management or warehouse system, and is a unique identifier across stores. Product Images. 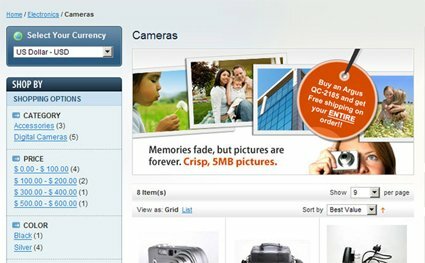 The Magento Community system allows you to have multiple product images by default. SEO Page Titles, Meta Description. You can set the page title (this is what shows up in blue underlined text in Google search results) and the page description (what shows up under the blue underlined text in Google search results), all on a per-product basis. Your SEO team will be happy! Digital Downloads / Downloadable Products. 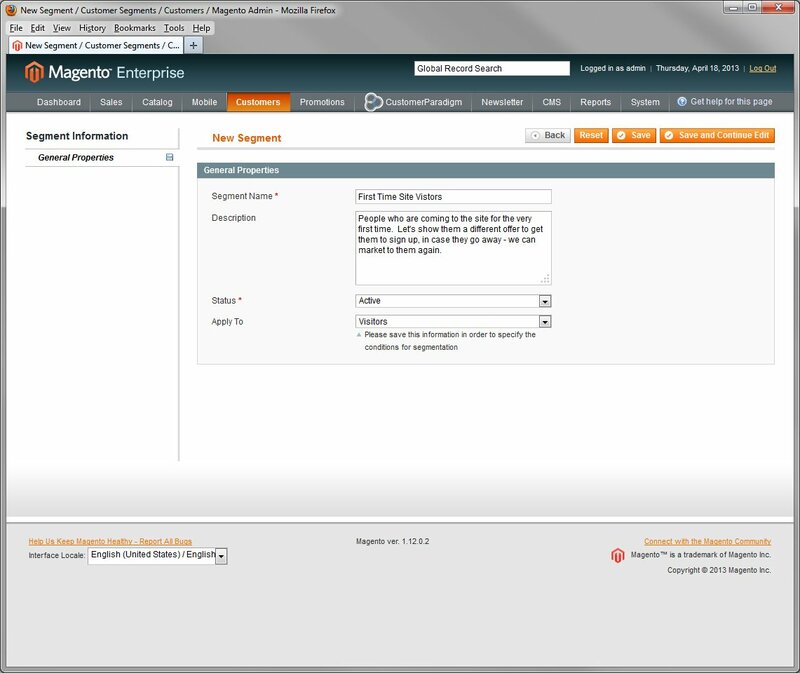 You can set up Magento to allow users to be able to download digital products (i.e. software, eBooks, or music). Weight. How much the product weighs; this is often used to calculate shipping costs. New Date. Sets the date in the system when the product should be “NEW!” so that end users see the latest and newest products featured on the site. URL Key. This is to create a search-engine friendly link for the product page. A key feature that is not in many other competing shopping cart systems. Allow Gift Messages. For each product, you can set whether or not the end user (ordering the product) is able to send a gift message for a particular product. Customer Paradigm often trains Magento merchants on how to best add products into their system for maximum effect, including search engine optimization. You can also use a third party system to load product information into your Magento Community store, but this requires additional integration. Up-sells, Cross-sells and Related Products. Magento Community allows for up-sells, cross-sells and related products. 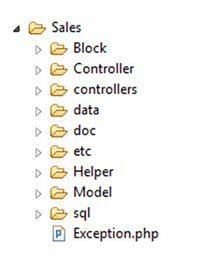 However, up-sell, cross-sell and related products are a manual process in Magento Community Edition, and you have to set up-sells / cross-sells and related products for each single product (unless you use a third party extension). Up-Sells allow you to entice the end customer to buy more. A bigger size, buy two and receive a discount, more expensive options, etc. Cross Sells allow you to offer / feature products that are similar. For example, if you are selling a digital camera, you might also want to cross-sell memory cards, tripods and extra batteries. Related Products allow an end customer to see what else is similar, so that they can more easily browse your store and find exactly what they’re looking for. Magento Community gives you basic Search Engine Optimization (SEO) tools, including the ability to auto-generate a site map, Google site map (XML) and manage Page Titles and Meta Description information. Magento Community offers a solid framework for sites to be able to be indexed by Google, Bing, Yahoo and other search engines. Duplicate content, based on multiple valid link structures, that need to be addressed with Cononicalization. Relative Previous / Relative Next tags for category pages, so that content can be indexed properly. Most of the coupon codes and promotions are handled with the flexible pricing rules, described above. Gives free shipping on ALL orders, or just on orders over a specific amount. Gives you the option to restrict how many times a coupon can be used (i.e. 100 times total) or how many times a coupon can be used by a single customer (i.e. once). The Magento Community Edition allows you to go into the customer account and edit shipping address information, reset passwords or update phone numbers. 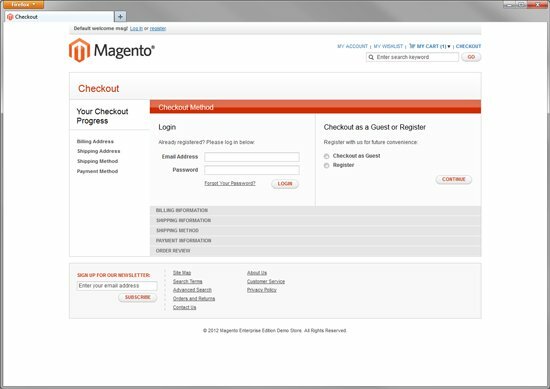 Like most other shopping cart systems, the free Magento Community Edition allows the store owner to go in and process orders. Once an order is placed, the store owner / administrator can go in and mark orders as shipped, partially shipped or give status updates. These are most of the high-level features of Magento Community edition. For many store owners, the Magento Community platform will take care of their needs. Magento Community does a ton of stuff. But for someone that has a large number of products, wants full page caching, needs the PCI compliant code base, or the advanced marketing tools, Magento Community isn’t often enough. 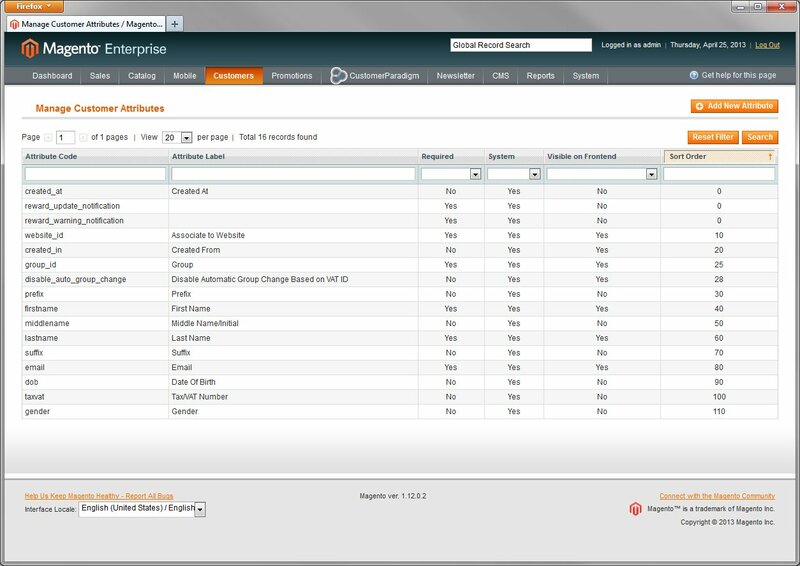 Magento Enterprise has all of the features of the Magento Community system, listed above. If You Have A Large Number of Products. 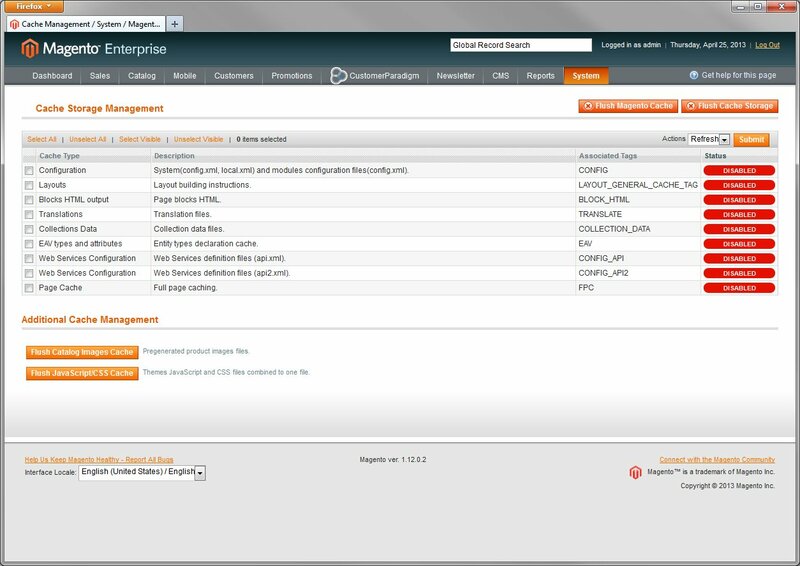 Magento Community doesn’t handle large catalogs (lots of products) as well as Enterprise does. 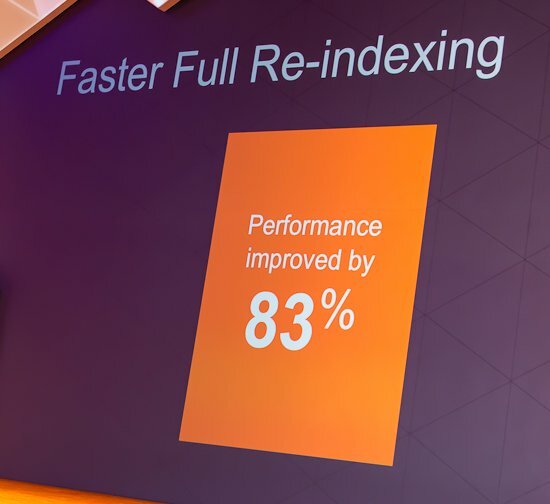 Magento Enterprise 1.13 is 80% faster in re-indexing a catalog, and has many performance features that the Community code base does not have. If you have only 20 items on your site, this won’t matter much. When you have 20,000, 200,000 or even more, speed matters. In the past, a product that was added to the site, or had a price increase could take up to 12 minutes to show up on the front end of the site. 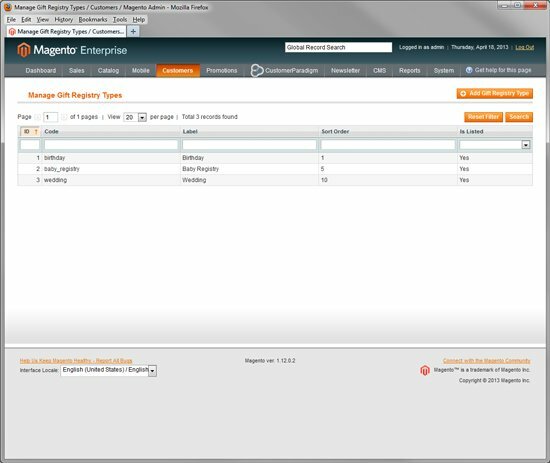 With Magento Enterprise Version 1.13, this happens instantly.Here are a few screenshots that I took at the Magento Imagine Conference in Las Vegas in April 2013, about Magento Enterprise v1.13: Magento Enterprise version 1.13 allows for more page views and orders to be placed each day, with the same hardware. 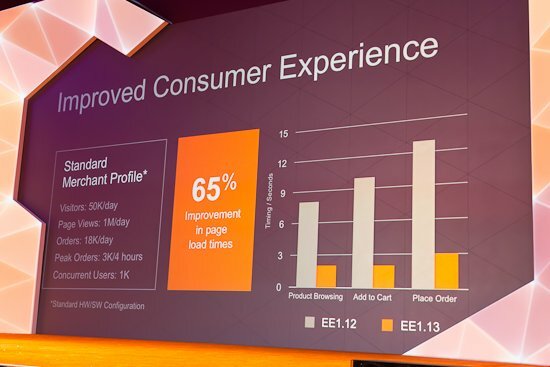 Magento Enterprise Enterprise Edition 1.13 shows a 65% improvement in page load times vs. Enterprise Edition 1.12. (And much, much more vs. Magento Community.) 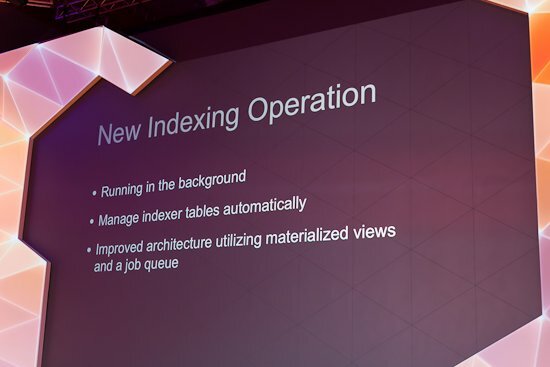 Magento Enterprise 1.13 offers a new indexing operation that runs in the background. For sites with large product catalogs, Magento Enterprise 1.13 offers an 83% performance increase in full re-indexing. If You Want Your Site To Load Quickly With Full Page Caching. Magento Community doesn’t include full page caching. Magento Enterprise does include full page caching, out of the gate. 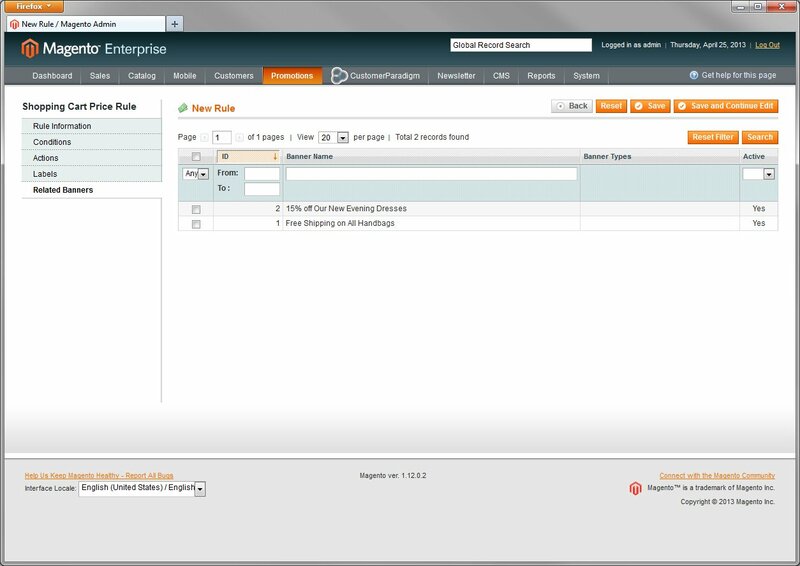 What’s Full Page Caching in Magento Enterprise? Yes, you can run a caching system like Varnish on your site. But many hosting companies don’t support this, and any time you add / change or update your site, you then need to rebuild the cache in a manual process. Again, it’s another moving part and piece that you have to worry about interacting with the eCommerce system and possibly breaking. If You Need Rollback / Backup Systems Integrated Into Magento. We get calls all the time from clients who have made changes to their Magento Community sites (accidentally) and want to roll back to a previous change. Honestly, with Magento Community, it’s not that easy. It would be nice if there was a version control system for content and product pages, similar to WordPress. But with WordPress, there’s a lot less moving parts and pieces. Restoring from yesterday’s database backup. (Or the day before.) Pray that the database was backed up properly. Oops… you made the change last week? Your hosting provider might not have a copy of that version of the database anymore. Bummer. Adding back in any customers, orders or changes to products that occurred during the day. With Magento Enterprise, you have the ability to roll back to a previous version of a content (CMS) page, product or category page, quickly and easily. You can see the time and date when things were changed (and by whom). Rolling back is done quickly, especially if you’ve made a small change on a live production server. We recommend testing / development servers, even if you use the Rollback / Backup System. We highly recommend using a Git Hub or other file repository system, that includes full check-in, check-out with version control. We also recommend having a full version of your site (images, customer records and product information included) on a development / test site, so that you can test modules and extensions, changes to the design, and other functionality in a test area. So that when something breaks, you don’t have angry customers who are frustrated, leave the site, and never return. Your site should be backed up by the hosting company on a minimum of once per day, including an off-site backup. You should also have two full copies of the working site, stored in two different geographic locations, too. I also like to have a copy of the full database automatically backed up and securely transferred to another online backup service, too. Yes, if you’re walking around in public and you’re wearing suspenders and a belt, people might stare. Your kids might not want to be seen with you. But a strategy that has multiple redundancy will prevent you from failing. The belt-and-suspender method means that your pants are not going to fall down. Literally and metaphorically. If You Need Better Scalability. 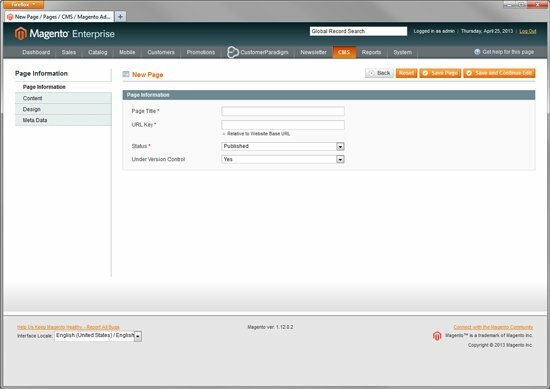 Magento Enterprise makes it easier to have a scalable website, and separate the parts and pieces onto different servers. Yes, this can be done with Magento Community. 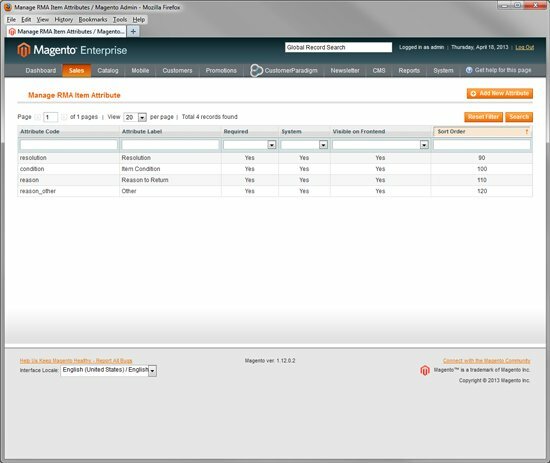 But the code base of Magento Enterprise is specifically designed for Magento Enterprise users who have lots of traffic, lots of SKUs / products, and lots of people buying stuff on their sites. 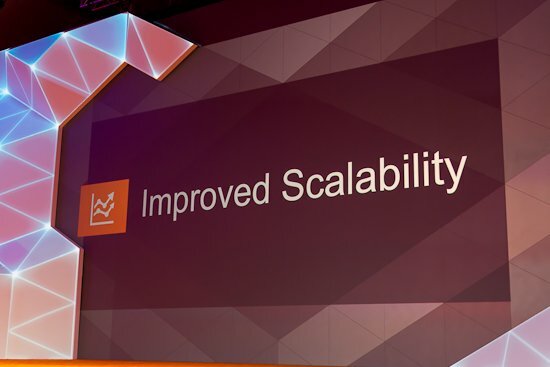 Magento Enterprise has Improved Scalability, according to Roy Rubin’s presentation at the Magento Imagine 2013 conference in Las Vegas, Nevada. DNS Server – for handling the request from someone’s browser when they type in the domain name. If you have a hot-swapable backup system, roll-over might occur at the DNS level. Proxy Server – for handling and distributing inbound requests, including session caching, CSS and more. Web Servers – multiple web servers allow you to spread the processing load among multiple servers. We’ve designed instances where if the processor load or memory load is too much, the system is smart enough to dynamically spin up a new Web server, within seconds, and then cancel it an hour or two later when loads go down. Database Server – usually the best practice is to have one main database server that handles inventory, purchases, customer information and more. 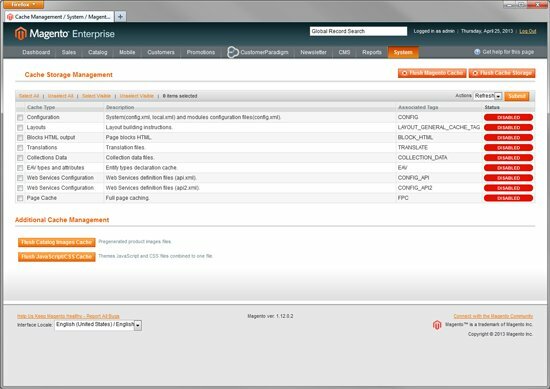 Hot-swapable backup system – what happens if your system goes down? We can design a Magento system that allows you to have a live, hot-swapable version of the site, running at an alternative location. Data (customer order information, product information, inventory levels) can be synched every 2-4 hours, ensuring that if there is a failure, you can have a graceful rollover. For most Magento Community sites, tax only needs to be calculated in the state where you have a physical operation. For example, if you base your store in St. Louis, Missouri, you only need to collect Missouri sales tax. If you also have a retail location across the river in Illinois, you’d have to add that into the system as well. 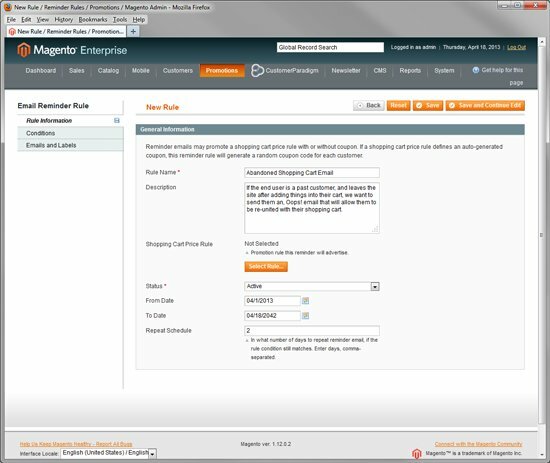 The Magento Community and Magento Enterprise tax calculation system is fairly basic, because it’s geared to a place with one or two locations. For example, you might want to have one tax rate for people in the city of St. Louis, another for people in the same county, and then another for the rest of the state. It can get complicated quickly. States right now are trying to implement rules to force eCommerce merchants to collect sales tax, even if they don’t have a physical presence in the state. End customers are supposed to pay a Use Tax based on purchases from out of state, but hardly anyone that is not a politician or tax attorney does this. Many Magento Enterprise customers have retail locations, warehouses and distribution centers scattered across the US and often, other countries. Manage Tax Zones and Rates. 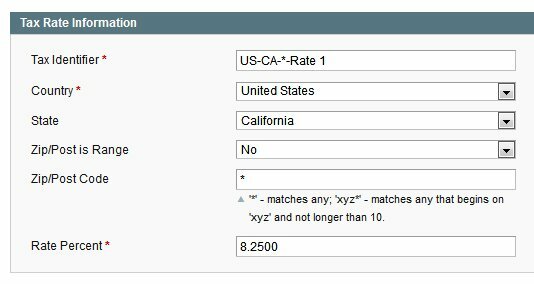 For example, you can set tax rates in New York and California easily, with options that include the Country, State, Zip / Post Code, with a way to match, and a rate percentage. Import / Export Tax Rates. Magento Enterprise allows you to export or import tax rates through the admin interface. Create / Edit Customer Tax Classes. You’re able to create a customer tax class. For example, Retail Customers, Wholesale Customers, Non-Profit Customers. Create / Edit Product Tax Classes. For example, you can have Taxable Goods, Non-Taxable Products, etc. Magento Enterprise offers a faster, more streamlined checkout flow than the Magento Community Edition. While many of the improvements in Enterprise are minor to the end user (visually), they are designed to speed up the process of checkout. The faster a checkout process becomes, the more likely someone is to finish the checkout process. Checkout as a Guest. If this is a one-time purchase (or not a frequent purchase), many consumers are like me and will opt to checkout as a guest. Who really can keep track of another username and password these days? Login As A Past Customer. If you’re a past customer, and remember your password and the email address you used on the site, you can checkout with your past billing and shipping information. Very convenient, but geared for a site where people make many repeat purchases. Register as a New User. Many people will opt to register as a new user, so that the system will ‘save’ their information for next time. 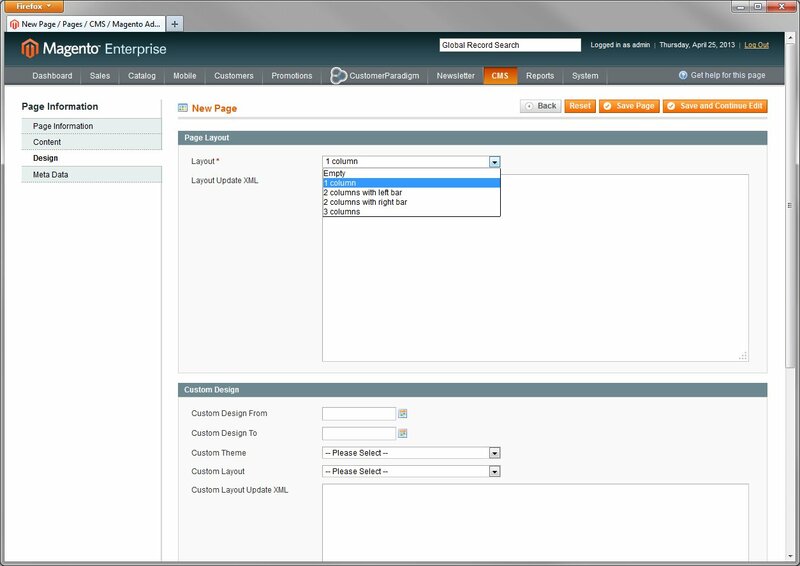 This also allows a user to create a wishlist in Magento Enterprise, as well as track orders, see previous orders, etc. If You Want to Do Advanced Marketing / Segmentation To Your Clients. Advanced Segmentation for Customers – this is one of the top reasons many people turn to Magento Enterprise. It allows you to treat different customers differently. Give customers that have purchased a lot from you in the past free shipping. Give first-time customers incentives to place their first order. Show customers that have purchased specific categories of items in the past similar items when they visit the site again. You can identify customer groups (segments) based on everything from address (city, state, zip), order history, and create specialized banners, price discounts and more. Geographic Information. Want to do a special promotion to customers that are located in New York? With Magento Enterprise’s Advanced Marketing / Segmentation, you can display custom banners on the site, give free shipping to anyone in New York, for example, and entice them with a geographically relevant message. Order History. Want to use RFM (Recency, Frequency, Monetary Value)? Target customers that have purchased a specific dollar amount in the past with specific targeted marketing. Or people who purchase frequently through the site. First Time Visitors. People who are new to your site can be targeted with a marketing campaign that is designed to get them in the door quickly and easily. Free shipping for a new customer. Double rewards points. A free gift with an initial purchase, or a buy 1 get something else for 50% off. All of these options are easily implemented, including special banner ads on the site. Shopping Cart Contents. Based on what a potential customer has in their shopping cart, you can engage with them to up-sell, cross-sell or promote free shipping, for example. If You Want to Have PCI Compliant Code. Magento Enterprise gives merchants a secure payment bridge that is compliant with the PCI Security Standards Council.Merchants still will need to have a PCI-compliant server infrastructure, especially if you want to collect and store credit card information.If you use one of the major payment gateways, such as PayPal Pro or Authorize.net, Magento Enterprise checks off a few more boxes on your way to full PCI compliance. 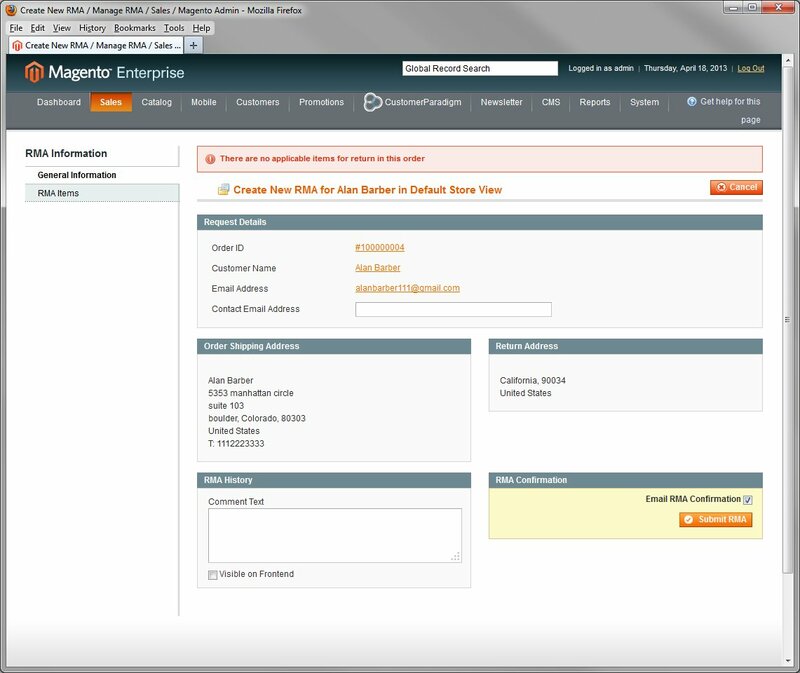 If You Want Return Management Authorization, Built In. If you have a store that sells physical products, you’re always going to have some percentage of users that want to return items. If you offer free shipping (especially both ways), people are even more likely to return items, as there’s a lower cost associated with sending it back. 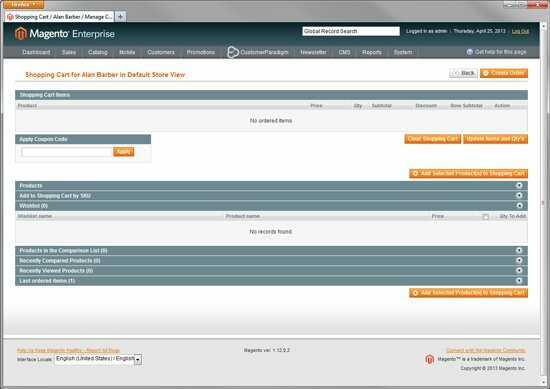 Magento Community doesn’t give an easy way to handle return merchandise through the system, and have it automated. If You Want to Offer Solr Search. Do you know when you visit a site and begin typing… and the system starts recommending search results? That’s called Solr Search. Search is an amazing way for people to find what they are looking for. 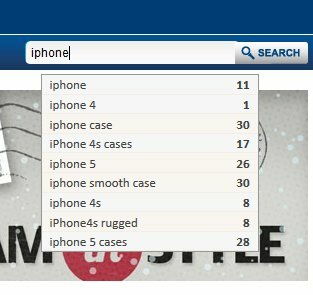 Search is also a great way to lose people on your site if they can’t find what they want. One of the highest areas of bounce rates on a site is often the search results page. 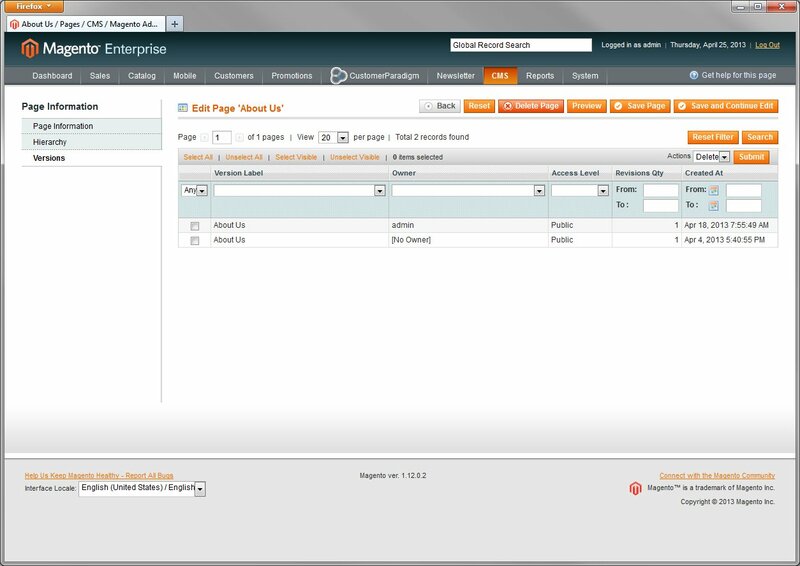 Solr Search mitigates this by suggesting search queries that the system knows will deliver results. Solr Search is built into Magento Enterprise, but is not available in Magento Community. If You Want to Create Automated Email Messages. Magento Community does not have a built-in system that allows for automatic trigger-based email campaigns. While there are third party extensions that can make this work, they often conflict with other systems, and don’t always send in a dependable manner. We’ve spent literally hundreds of hours trying to troubleshoot third party extensions for Magento Community to manage abandoned shopping cart emails, with mixed success. Abandoned Shopping Cart emails really do work. While some businesses are “afraid” to email their customers, a well-written email sent to someone with items in their cart can get them to convert. Something that says, “Oops… you might have closed your browser window before you made a purchase, but we’ve saved your cart for you” shows that you care. Second day order emails also can be helpful. After a customer places an order with you, they will receive an order confirmation email through the system. Magento Community and Magento Enterprise both send out this critical transactional email. But an email the next day, saying, “Thanks so much for placing an order with us. Here’s some information about what to expect when you receive the order,” can do quite a bit to reduce customer service calls, and create an additional trusted interaction with the customer. Email, done well, is the number one way to reach out to past customers, engage them with relevant content, and get them to come back to the site. If You Need to Create Multiple Custom Landing Pages, Easily. What’s the worst thing you can possibly do with an email campaign or Cost Per Click (CPC) ad campaign? Dump the end user right onto the home page, and then force them to figure out where your special offer is located on the site. Instead, a custom landing page, designed to highlight exactly what you’re emailing them about, is the best practice. Don’t believe me? Test it out. Send half of your traffic to the home page, and the other half to a dedicated landing page, specific to the offer. See what converts better, and what bounces people off the site faster. 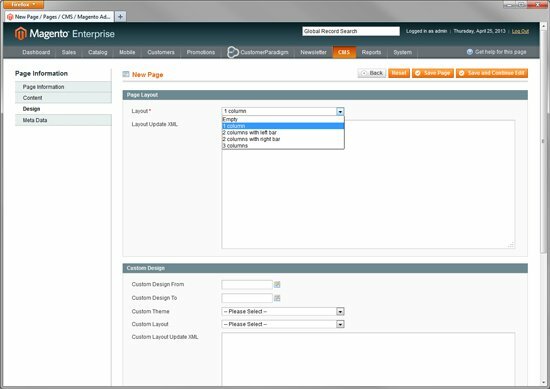 Magento Enterprise allows you to create new landing pages quickly and easily, and have them tie directly into advanced customer segmentation systems. Magento Community also allows you to add custom landing pages in the same way, but does not allow you to exclude landing pages as easily from the site hierarchy and search results. In addition, the landing pages do not have version control built in. Page information, including page title, URL key, publishing status, and version control. Content, including an HTML editor. 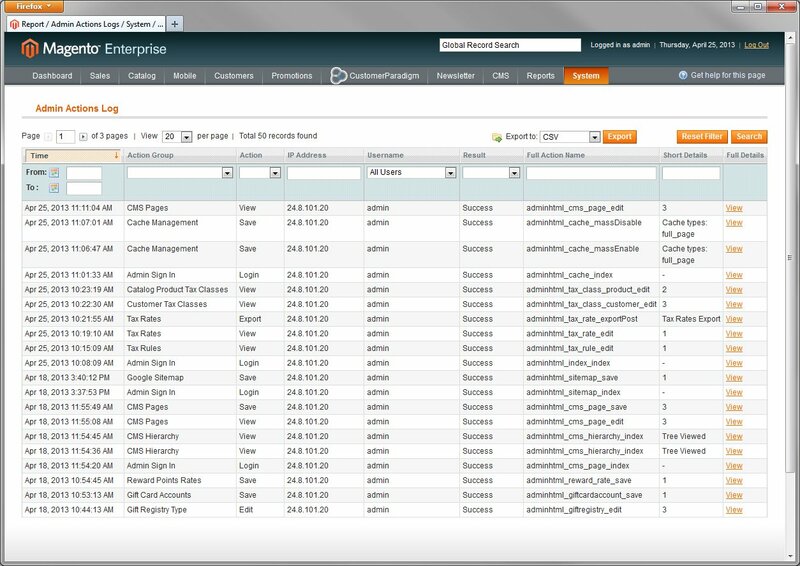 Design, including the ability to select a 1, 2 or multi-column layout. Cross Sell / Up Sell / Recommended Products – Automatically. Magento Community includes the ability to cross sell and up sell in the system. But it’s a manual process that forces you to link up sell and cross sell items for each specific product in the system. Not a problem if you have 20 products. But for a merchant with 1,500, 25,000 or 150,000 SKUs in their Magento catalog, this doesn’t work so well. 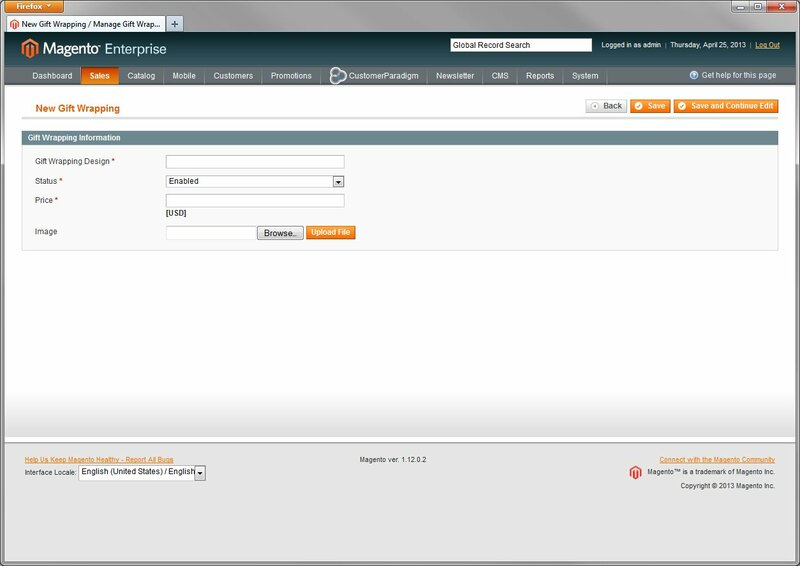 Magento Enterprise allows you to apply categories of products as cross sell, upsell and related products automatically. Instead of having someone do everything by hand, the Magento Enterprise system does this for you. If You Want Customer-Assisted Shopping. Have you ever tried to purchase something from an online site, but got stuck? The discount code didn’t work? You weren’t sure of their shipping policy, or had another question? Magento Enterprise allows you to have your customer service team go into an end user’s shopping cart in the back end, and add selected product, apply specific coupon codes, quickly and easily. For example, a really great customer is having an issue on the site. Your customer service rep might give them free shipping because they had an issue. The customer service rep can find what the customer has in their cart, and add / remove items. The customer service rep can also look at past purchases (“Oh, I see you bought this item last month. Would you like me to add it back in for you right now?”), or recently compared products, or even products that the customer viewed on the site. If You Want Magento Technical Support. Technical support from Magento is not available for Magento Community members. That’s why Customer Paradigm exists. We’re here to help fix your Magento Community or Enterprise site. Magento Enterprise Customers do receive Enterprise support. 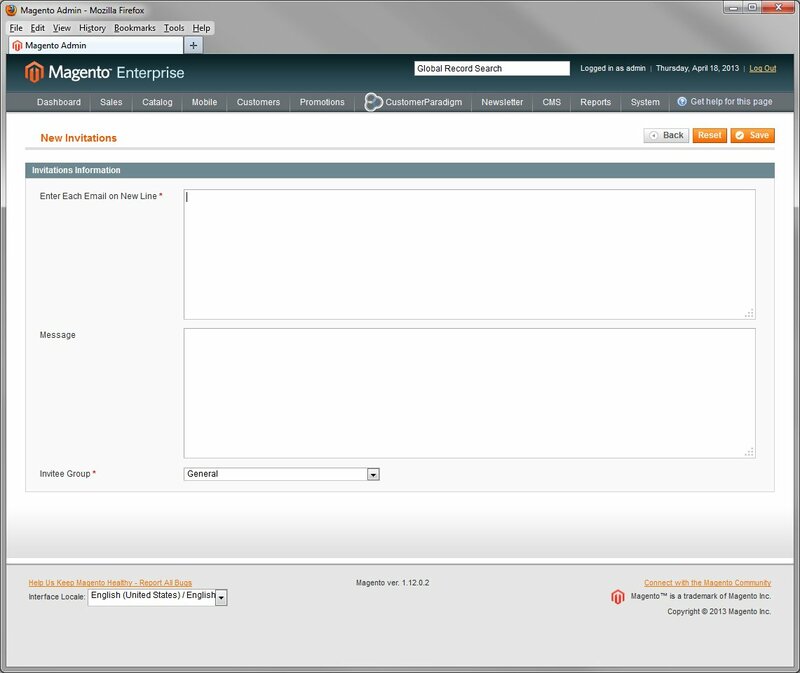 Fresh installations of Magento or troubleshooting of existing installations and downloads. Windows and Mac environments not supported. Magento’s experts can help Enterprise customers make the most of Magento. They’re there to answer any “how to” questions from catalog setup to advanced marketing promotions. 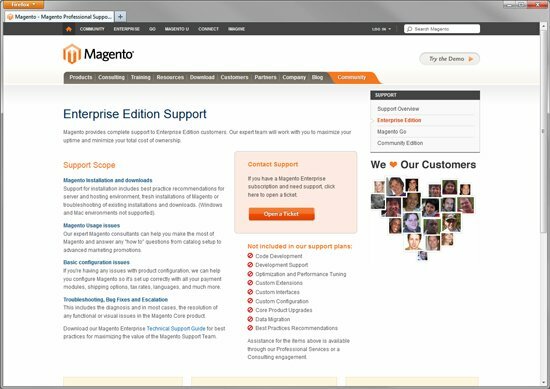 For Magento Enterprise Edition customers that are having any issues with product configuration, the support team can help configure Magento so it’s set up correctly with all your payment modules, shipping options, tax rates, languages, and much more. If a Magento Enterprise client has a critical bug issue with the Magento core code products, they will help trouble shoot this. This includes the diagnosis and in most cases, the resolution of any functional or visual issues in the Magento Core product. 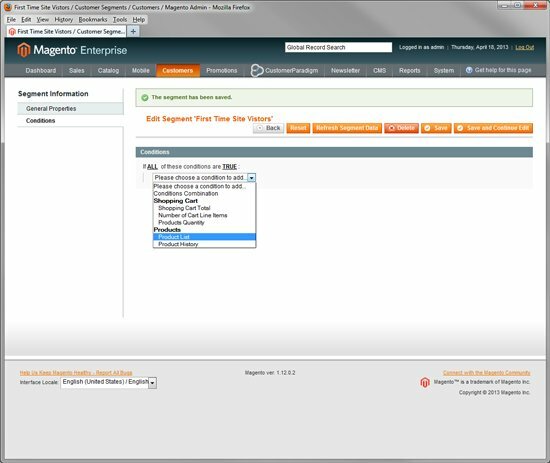 Not included in Magento’s Enterprise Support Plans (according to the Magento Website): Magento Code Development (not included / not available) Magento Development Support (not included / not available) Magento Enterprise Store Optimization / Server and Performance Tuning (not included / not available) Custom Extensions (not included / not available) Custom Interfaces (not included / not available) Custom Configuration (not included / not available) Core Product Upgrades (not included / not available) Data Migration (not included / not available) Best Practices Recommendations (not included / not available)Note: If you make any changes to the Magento core files, Magento Enterprise support group will not be able to assist you, until you un-do the core file changes. If You Want to Offer Auto-Generated Custom Coupons. Do you need a way to automatically generate coupon codes, dynamically for end users? Magento Community allows someone to go into the system and create a coupon code for a specific amount or percentage that can be used by one or more people. If you want to Tie Custom Banners to Coupon Codes and Discounts. Magento Community allows you to have coupons or discounts, but does not allow you to tie banner ads on your site to specific shopping cart rules or coupons for the site. 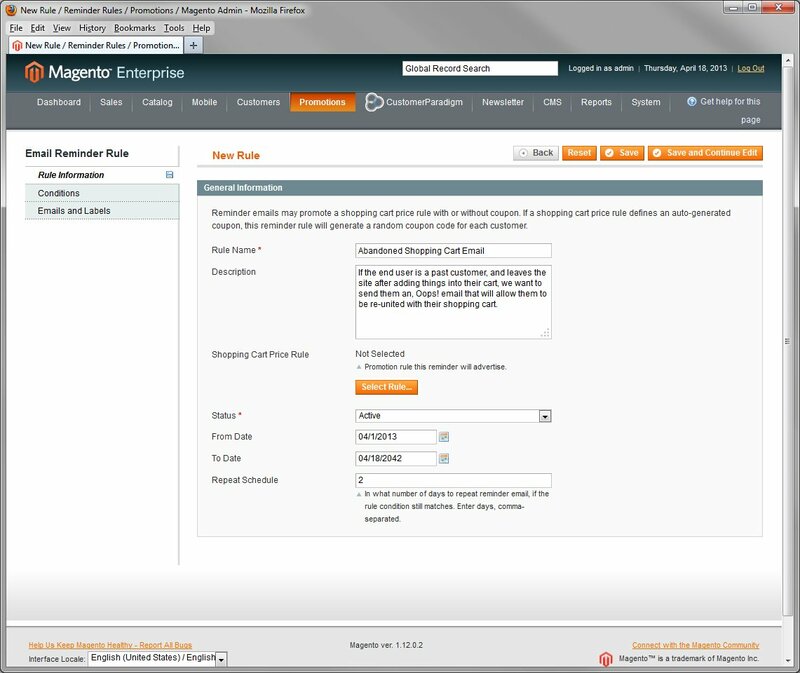 Magento Enterprise allows you to display specific banners (top of the site, left side, right side, bottom, or within a content block), based on the shopping cart rule on the site. So if you are giving away 10% on all orders between now and midnight, make sure people know this with display banners throughout the site. 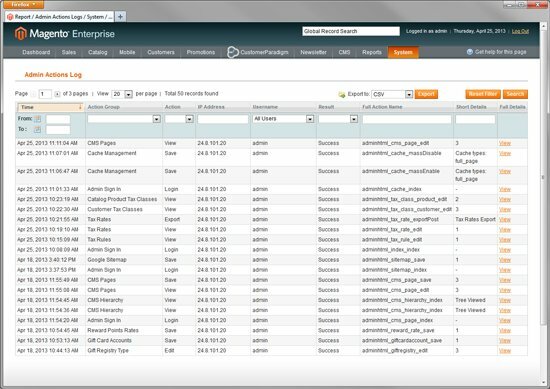 With the latest release of Magento Enterprise version 1.13, Magento made about 350 improvements to the code base, including on the product pages, category and search pages, shopping cart, checkout process, admin order creation, import and export functionality, web API components and payment methods. Magento pours more energy into the Magento Enterprise code base. Not to say that the Community version isn’t worked on. Buy money talks, and paying customers’ needs often come first. Magento Community is free, open source software. Magento Enterprise costs $15,500 (per year). For some merchants, the out of the box Magento Community solution is perfectly fine. I’ve listed many of the key features in this article. It has been adopted by more than 150,000 merchants worldwide. For others who need Enterprise-class functionality, including advanced marketing and segmentation tools, a PCI compliant code base, full page caching, and the ability to handle an extremely large number of products in an online catalog, the Magento Enterprise system might be a better fit. Not everyone out there will tell you this, but Magento Community can be configured to use extensions and customizations to match many of the features of Magento Enterprise. How to decide? We’re Magento experts, work on both Magento Enterprise and Community sites, and have spent a tremendous amount of time answering this question for merchants. Where do you want to go with your Magento site? I’m a big skier. I spent three years as a professional ski patroller, handling medical rescue, avalanche control, and three-dimensional gravity fed logistics (you can ski down quickly, but not go up). Look Where You Want To Go. Not Where You Don’t. Someone on the slopes was freaked out about skiing into a tree. So what do they do? They look at the tree. When their head turns to the tree, their shoulders naturally line up with their head. 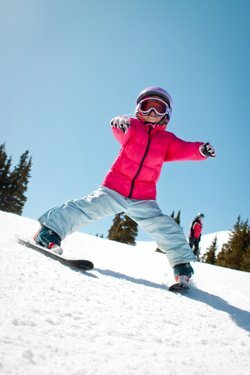 Before long, their hips, knees and the tips of their skis are pointing right at the tree. They’re looking where they don’t want to go, and wind up slamming into the tree. Instead, look where you want to go. In the skiing metaphor, it’s straight down the fall line of the ski slope. On a mountain biking trail, it’s down the amazing single track. In the Web world, it’s focusing on your business goals for your site. Many of the sites we build have $20,000 or more in transactions per day. 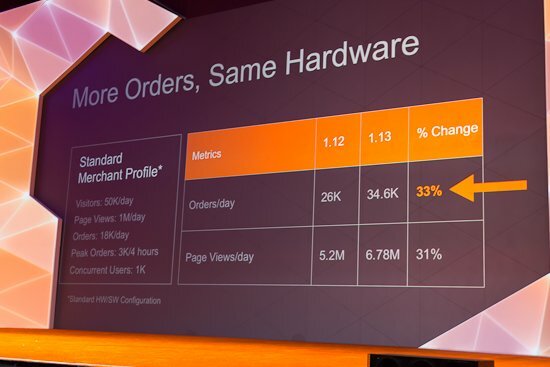 If you want to be a successful online merchant, the cost of Magento Enterprise might be less than a single day of online sales.